Recently I have had a chain of events happen in my life and I found myself asking God, “What next?!”. Even thought I knew that was not the correct response, my flesh found an easy opening and took it. I became angry and upset, crying and anxious. Even though I knew in the back of my mind that God tells us MULTIPLE times in the bible that he will cover us with support, I wanted to ball up and be in my own self-loathing world. I let my flesh take over and gave in to non-belief. Then something happened. My father-in-law and his wife came up to visit unexpectedly and changed my perspective. They told me to always seek out the positive in every situation, no matter how dire. While that sounds easy, I know it isn’t. But since then, I have been working on looking at the positive in everything instead of persecuting Christ and everything Earthly around me, and I am a much happier person for it. In Proverbs 17:22, the bible states: “A cheerful heart is good medicine, but a crushed spirit dries up the bones,” This verse specifically stands out to me because of it’s powerful but short message. It’s so easy to give in and allow our spirit to be crushed, but how great does it feel when our heart is full and happy verses when we are down and depressed? It is our choice. We choose to be sad or happy. Obtaining a positive outlook can make a vast difference in your personal and spiritual life. “Who of you by worrying can add a single hour to his life?” -Luke 12:25. Here Jesus is telling his disciples not to worry. I love how powerful this sentence is. After reading it I immediately thought, “Yep. I can’t. Worrying is dumb.” Worrying or fixating on a situation or storm in your life doesn’t fix anything. Take the negative and turn it into a positive situation. 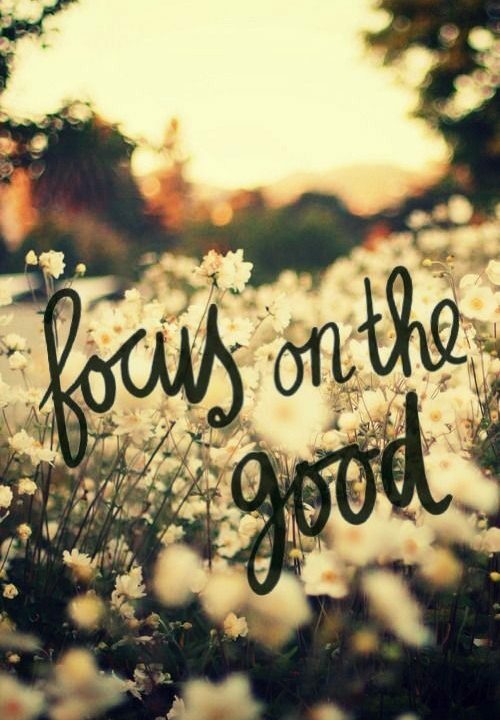 There is good in everything. There is a reason God has put this in your life, even though it may be difficult to see in the present. Believe in God and his plan for you, even though the darkness.